Skyr, amaranth, kefir, matcha powder…the names of the “superfood” of the week can leave anyone scratching their head. However, what might seem like a marketing trend of recent times is actually gaining traction for being more of a revolution in global health consciousness. While 99% of readers might have never heard of the niche health foods I listed; the health food market is booming. The global sales for healthy food products is estimated by Euromonitor to reach $1 trillion by 2017 and in a recent survey 88% of respondents said they are willing to pay more for healthier foods. The juice and smoothie bar industry alone is earning $2 billion annually according to IBISWorld. Success stories are abound in the health food industry as companies rush to provide readily available health food options such as nut tubes, raw cocao powder, and ice cream made of coconut milk. All of these products, by the way, are sold by Irish health food brands that are only a small part of a large collective of companies utilizing uncommon ingredients to create healthy alternatives. 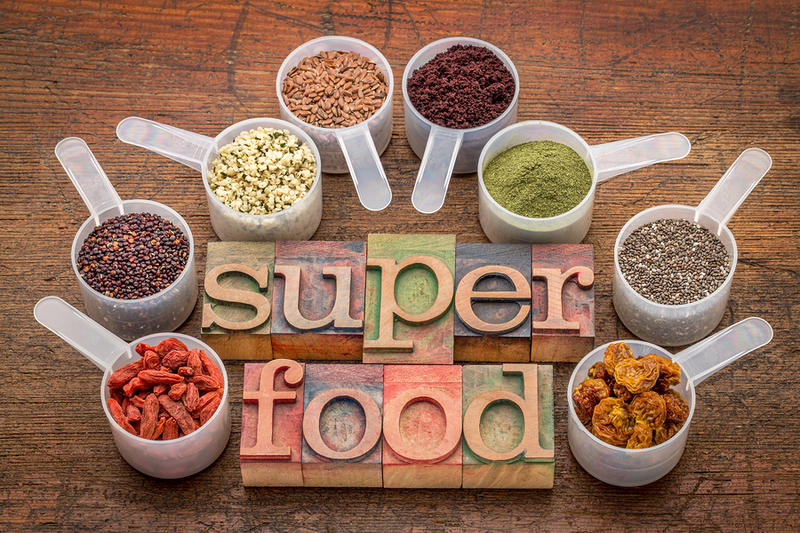 The reason why these “superfoods” may very well be a part of a revolution rather than an annual trend that will be long forgotten next year has everything to do with public opinion and activism. Just this week a lobbying group has launched supporting plant based foods in the United Sates. Complaints from consumers last year sparked major change in the ingredients food companies use and list on their products. So called “deep label readers” are the reason why the health food movement has the staying power to make permanent change on the average diet. As a country known for its quality agriculture; the recent wave of health consciousness has been well received in Ireland. A quick online search of health food in Ireland will garner numerous news stories about health food restaurants, cafes, and food trucks popping up around the country. Not only are health food outlets appearing, but they are thriving. For example, Natural Born Feeder Café, a pop-up café that opened on Baggot Street in February was consistently sold out before the end of the day. The sea is another asset to Ireland’s ability to meet demand for foods low in fat content. Carr Shellfish Ireland is a perfect example of a domestic company that responsibly sources their seafood and shellfish. Options like crab or salmon are low in carbs while high in protein and healthy Omega-3 fatty acids. Demand is also coming in from abroad as companies like Carr Shellfish look to export Irish goods abroad as seen here. One of the interesting trends in health food is the push for food that is not only nutritious, but also organically farmed. Organic farming is the use of sustainable techniques to cultivate crops without harming the environment while using naturally-sourced materials such as manure for fertilizer. Currently roughly 1.3% of Irish land is farmed organically. That percentage is in contrast to the E.U. average of 5.4% and it has led the Irish government to set a 5% target for the nation. While the organic market is only valued at €98 million currently, the potential for farmers is in the €20 billion market for the entirety of the European Union. Opportunity for domestic organic farming for Ireland certainly has a willing market as Ireland imports “up to 70% of its organic commodities”. The future of the health food industry appears to rely on pricing even if consumers are willing to splurge slightly for it. Dr. Thomas Gaziano at Brigham and Women’s Hospital and Harvard Medical School recently reported that a 10% drop in prices of fresh plant-based foods could prevent “515,000 heart-related deaths and 675,000 heart attacks and strokes by 2035” and that is just in the United States. However, the battle for competitive cost might be an uphill battle as health food consumption trends with economic conditions. Irish organic retail grew 9% over 2015, but the market is not yet back to pre-recession levels. 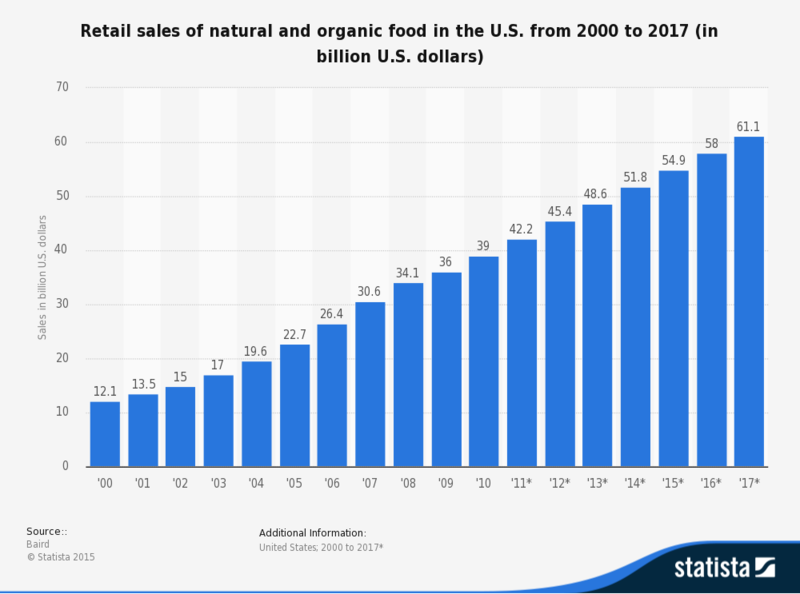 The retail sales of usually higher priced, health foods were challenged during the years of the economic recession as real household income dropped. As Ireland’s economy rebounds and continues to grow one can expect organic and health food consumption to follow as consumers gain freedom to vote for health foods with their wallet.